A shining example, this Accurist watch is a sight for sore eyes. 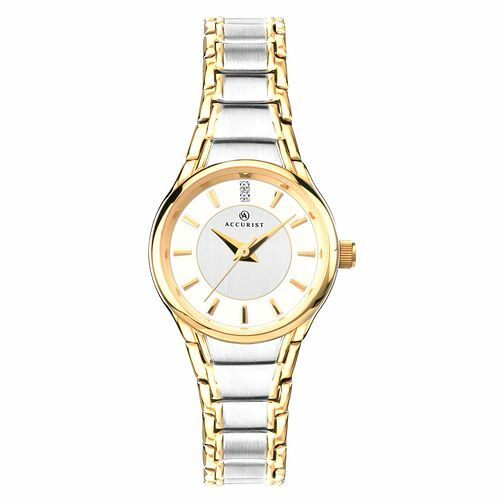 A two-tone design of colours gold and silver set the perfect toned stainless steel bracelet for the white round face with co-ordinating features. With a glistening crystal 12 o'clock mark, this design is a stylish addition to the jewellery box. Accurist Ladies' Two-Tone Crystal Steel Bracelet Watch is rated 4.5 out of 5 by 2.